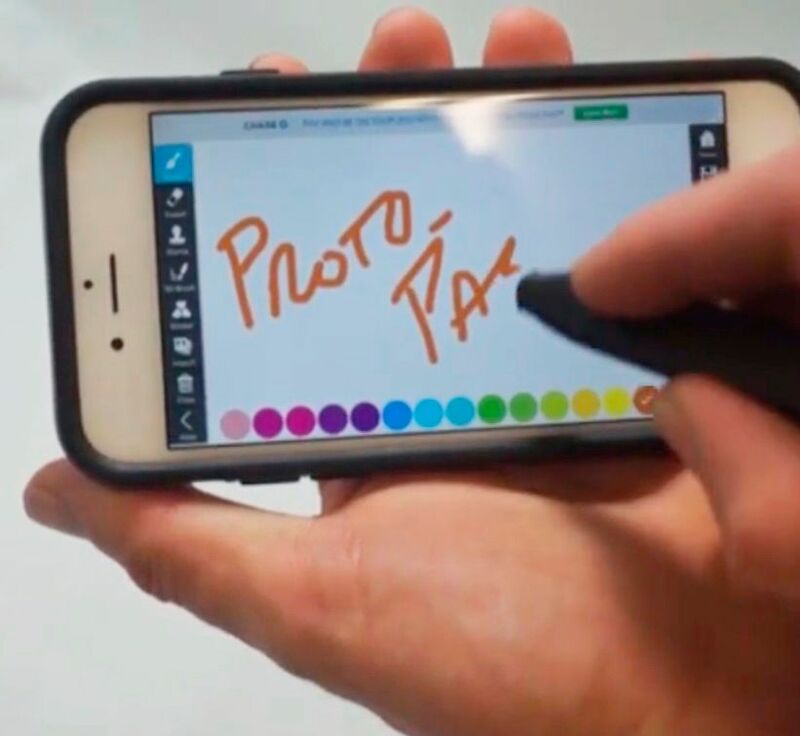 Conductive PLA is a compound of Natureworks 4043D PLA a dispersant and conductive carbon black. 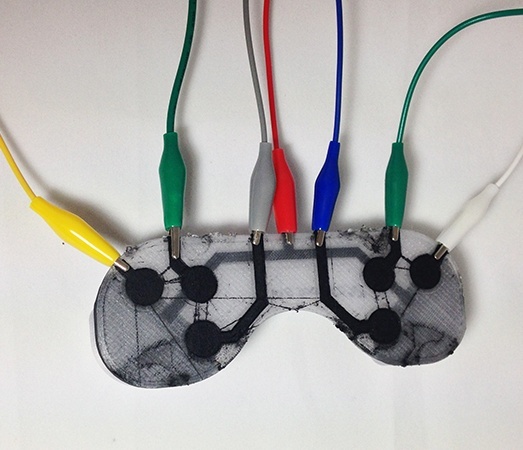 Have you ever wanted to create something that includes electronics? 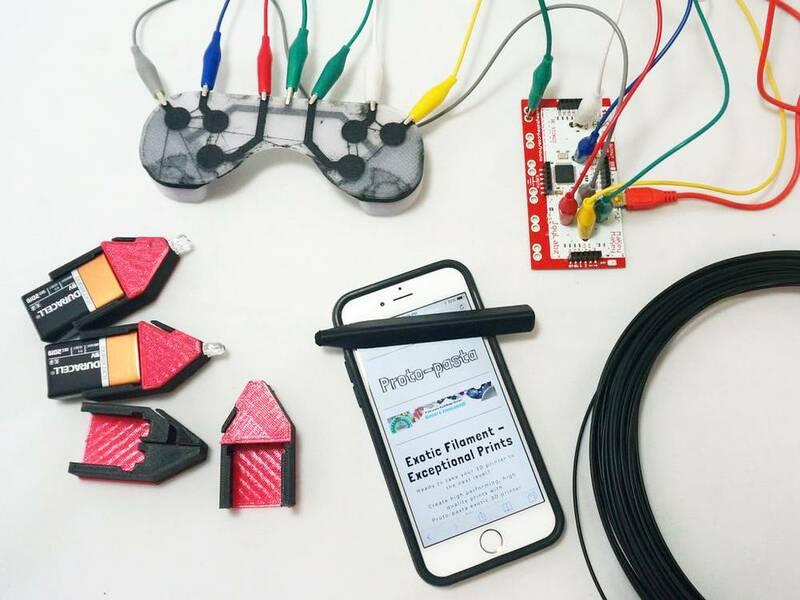 (LED, touch sensor,…) Then Proto-pasta Conductive PLA is the perfect material for you. Proto-pasta Conductive PLA is compatible with most printers that can print PLA. 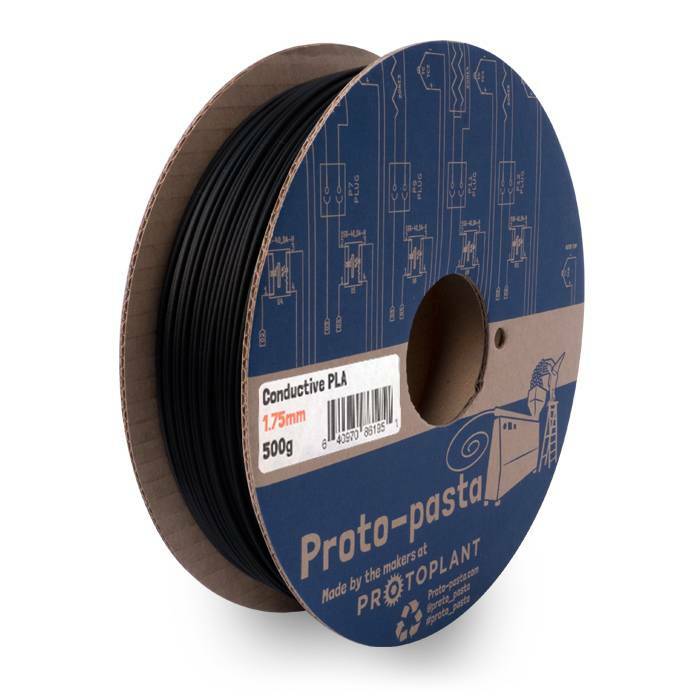 If you print with a heated bed (if available, is not required) set the temperature at about 50° C.
Proto-pasta Conductive PLA is a great choice for low-voltage circuitry applications, touch sensor projects, and using prints to interact with touch screens (which require low conductivity). As a general rule, anything you can run through a 1K resistor should be doable with this material (if you design the conductors to be the right size). This will easily run a low current Arduino, if you are not powering much with it.